Feb. 10, 2019 -- Schools frequently teach children about healthy lifestyles, nutrition, and physical fitness. But it’s hard to create lasting change if parents aren’t involved in the process. 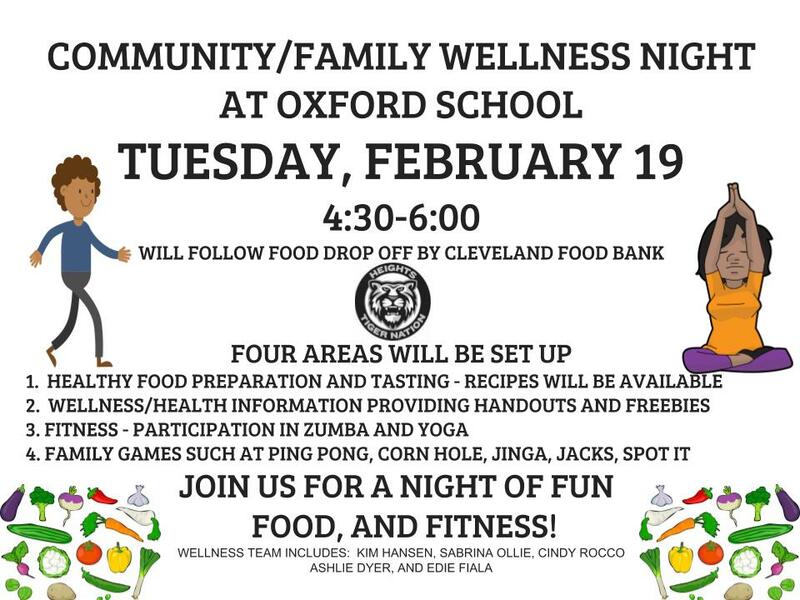 That’s why Oxford’s physical education teacher Kim Hansen has planned a series of Family Wellness events. 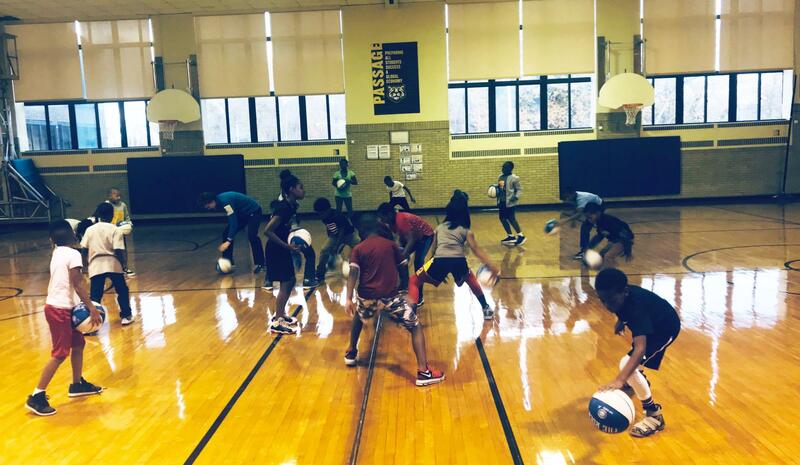 Using funds from a Game On grant from Action for Healthy Kids, “Coach” Hansen, as she’s known to her students, has implemented a series of activities at Oxford focused on healthy lifestyles. She and colleague Tom Coleman run a weekly intramural basketball clinic attended by 40 boys and girls in the 3rd through 5th grades. “The kids have a blast,” Hansen said. 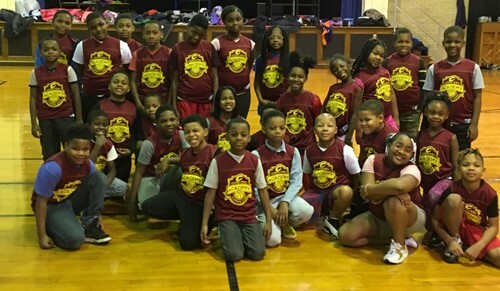 “And they keep showing up even though it starts at 7:30 in the morning.” It helps that they recently received jerseys from the Cavs Foundation. In order to engage the entire family, Hansen and a team of colleagues have planned a series of Family Wellness Nights. The first will be held on Tuesday, February 19 following the School Market food bank distribution. The event will run from 4:30 to 6 p.m. and is open to students, families, staff and residents of the Oxford community. The event will feature multiple stations for families to rotate through, including one on nutrition where lunchroom supervisor Sabrina Ollie will offer cooking lessons featuring samples of snacks using the fruits and vegetables available from the School Market food bank. Recipe cards will be available for families to take home. School nurse Cindy Rocco will also run a station with information, tips and giveaways of bike helmets, reflectors and other safety items. Community member and Reaching Heights liaison Ashlie Dyer will run a fitness station in the gym with Zumba, line dancing and yoga. School social worker Edie Fiala will run another station of family games that promote physical activity like ping pong and giant Jenga. Coach Hansen hopes the event will show families how much fun they can have together while also promoting health and fitness. “We want everyone to participate, learn a few new things and have fun in the process.” Additional events will take place in March and April.